Welcome to the 247th Inspire Me Tuesday. Man, you guys are definitely creative, there was so much eye candy and fabulous decor last week, I've spent days trying to see all of it. If you missed anything, be sure to go back and take a look, there are some of the most fabulous links of the year. 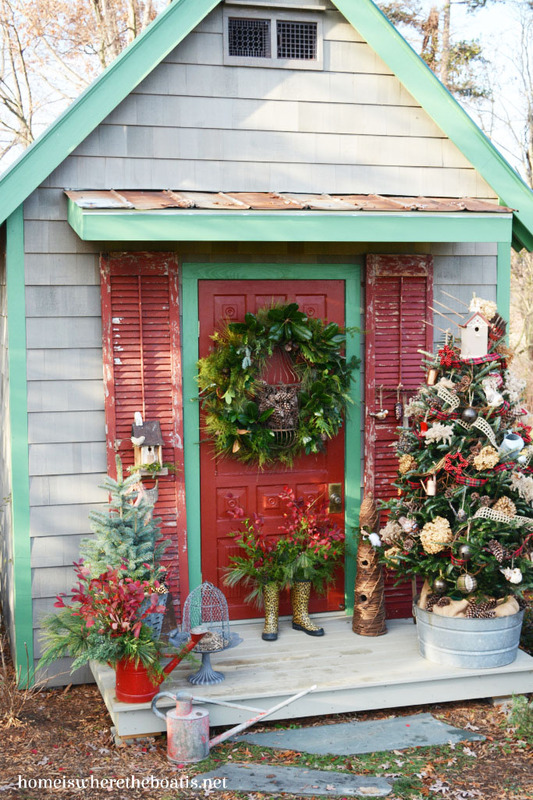 I showed you my front porch last week, so when I saw how Home Is Where The Boat Is decorated the porch on her potting shed, of course I had to take a second look. Is this just perfect or what and look at those leopard boots. Fabulous. Everyday Living shared some of her gorgeous Christmas vignettes. This little doll chair in her foyer is totally precious. I just may go steal this one. I totally fell in love with this gorgeous Magnolia garland that Vintage Finds created for her staircase. So beautiful and just look at that fabulous tree too. I love every inch of The Painted Apron's Christmas decor. She did a fabulus "cotton" theme on her tree and mantel and that cotton garland is stunning. However the bathroom took the prize. How fun and adorable is this. A snowman in the shower and this one won't melt. I love the simple but elegant design of the mantel at The Essence of Home. The gate and that fabulous cotton wreath stole my heart. 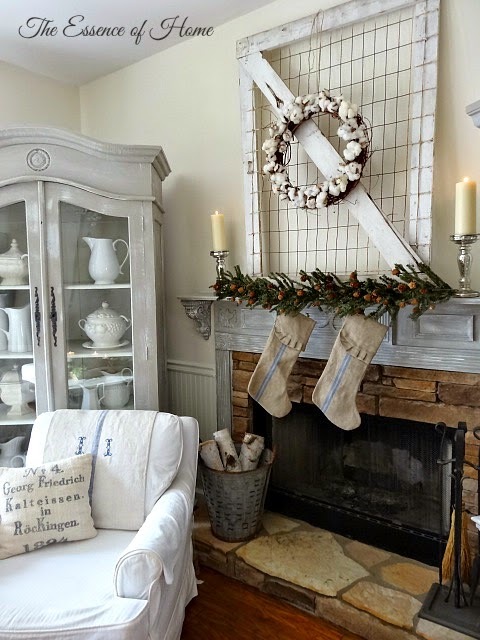 She was just one of the 12 blogs that shared their home in the Christmas Open House Tours. If you missed them, be sure to check out all the Christmas Open House Tours. 12 blogs over 3 days. Each home is beautifully decorated and full of inspiration and creative ideas. Thank you for the feature, Marty! Always enjoy your party!! Marty, I've enjoyed all the tours, and this week's features are great - Painted Apron's bath is a hoot! Thank you for having us all, week after week, this entire year. It's been a blast. hi Marty! I am thrilled to be featured this week, wow, thank you! I haven't finished taking the house tours yet and each is so so fabulous! It is so much fun to see everyones different holiday styles. Thanks so much for the weekly fun! Love your features! Thanks for hosting and have a wonderful week! Oh that snowman in the bathroom you feaured is such a kick! I have to go check it out! lol! Thanks for hosting each week, Marty!! 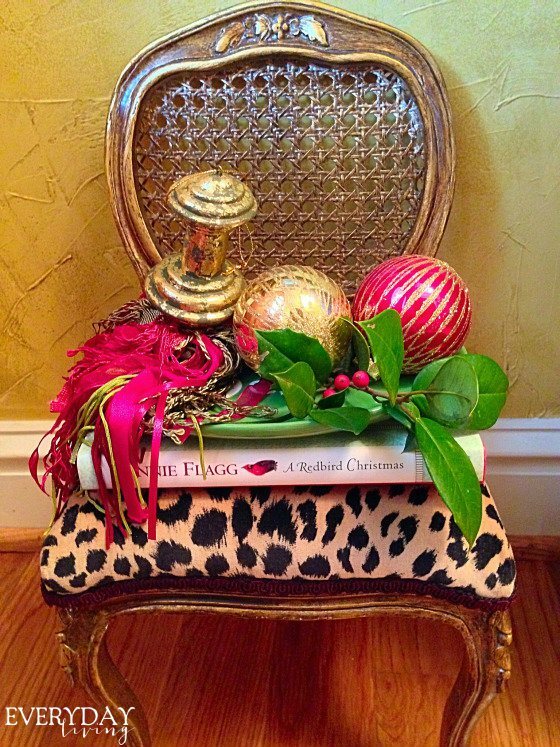 Thank you for featuring my Christmas foyer this week! Have a Merry Christmas. So many wonderful and inspiring ideas! Thanks for hosting Marty! With so many beautiful entries each week it must be a challenge to pick the features and you always pick great ones. Merry Christmas Marty! HI Marty! Oh, I just don't know how you pick the features as everyone's post is just amazing! Thank you always for hosting your party. 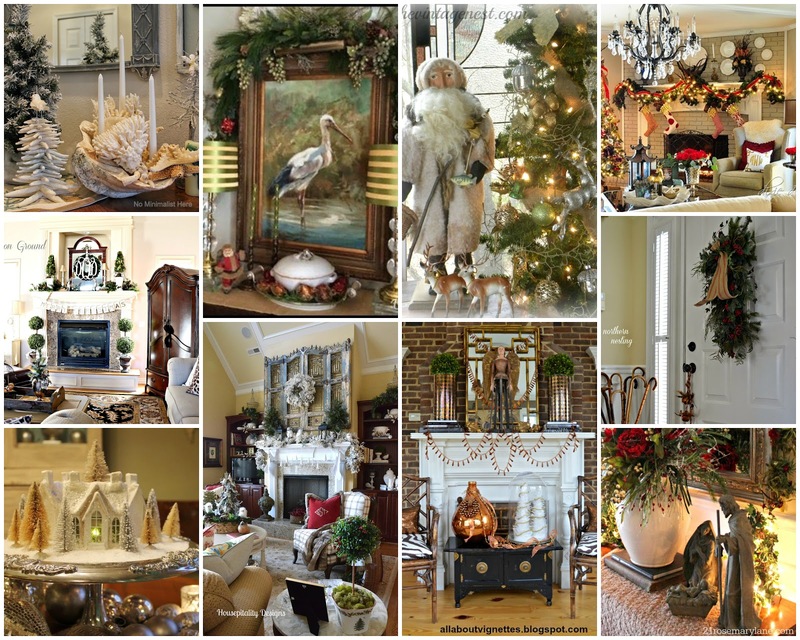 Marty, your home is Christmas beautiful and so are this week's features! Thanks for the fun party and hope you have a really nice week. Marty, this week's features are amazing!! Oh my goodness... I cannot believe all the talent. All the best for a JOYous Christmas!! Thanks for hosting. 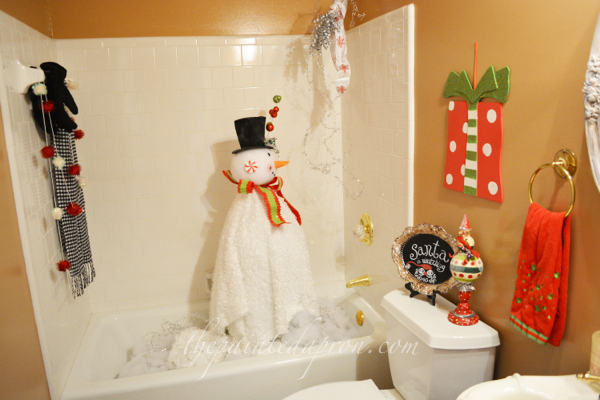 The snowman in the shower is hilarious. Thanks for hosting! The features are fabulous!! So many lovely homes and beautiful decor ideas. Thank you for sharing. One that caught my eye chair decorated by Everyday Living, love the animal print and pink details. Thanks for hosting Marty.. Great features this week.. Happy Holidays! Inspiring, gorgeous features, Marty. Merry Christmas! I can't get enough of Mary's potting shed! just linked up, thanks so much for hosting, Marty! I agree Marty, I have enjoyed all the wonderful Christmas. Thanks for hosting. Hi Marty! Wow so much Christmas to look at. I'm off to check it out. Thanx for the party Marty. Beautiful features. Can not wait to see Part 2 of your gorgeous Christmas decor. Hi sweet Marty, how are you! My husband built a doll house just like the first one for our DDs...how I wish there was bloggy back than so I can show you their little tree and C'mas décor, lol...such memories. The bathroom it's so cute too! Have a lovely holiday week leading to C'mas. Marty, thanks for hosting and happy holidays! Marty,these are all such beautiful features! Thanks so much for hosting each week! Thanks for hosting! You are so right...there is an abundance of inspiration out there at this time of year and I just love checking it out at a great party like yours! Thank you for the party. Merry Christmas! So many great ideas and inspiration, Marty - adore the first image…perfection! Great features (as always), Marty! I'll be checking out the home tours today - they look fabulous! Thank you for hosting and have a great day! OMGosh Marty that potting shed is fabulous!!! All your features are wonderful this week.Looking forward to your part 2 of your Christmas tour! What a amazing ideas! Thank you so much for hosting, Marty! Hi Marty! Thanks so much for featuring the Open House Tour participants...I can tell that my blog is having visitors from your blog because of that. What great features! Thanks so much for having your party for us! Hey Marty!!! Love seeing what you come up with every week!! You are an inspiration. Thank you for hosting! It's been ages ago, I joined your party but my silence does not mean forgetfullness. If you visit me you will find the reason why. Hope you have a blessed day and I see you again, soon.